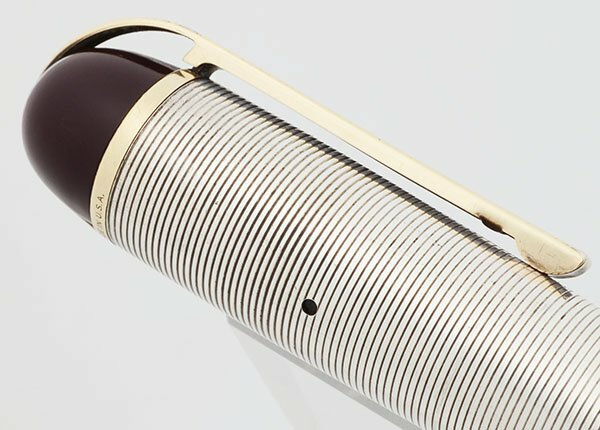 Eversharp Skyline fountain pen with Dubonnet red barrel and section. The cap is rare and made of grooved pattern sterling silver and gold filled trim. It also has the very uncommon "Wahl" imprint. 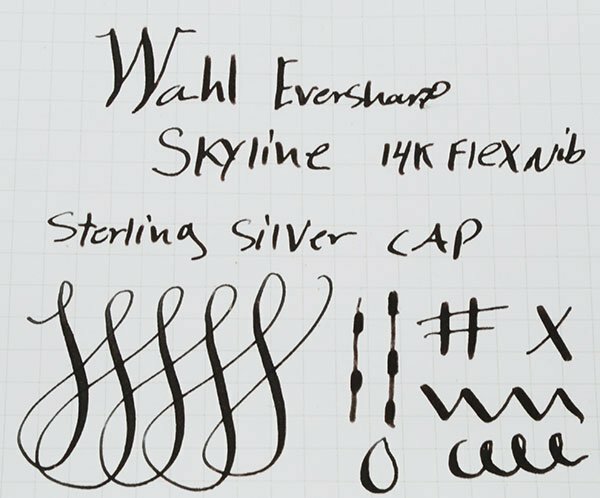 Flexible medium Wahl 14k nib. Excellent + condition. Color Dark burgundy, red-black in dim lighting, called, "Dubonnet Red." The cap is solid sterling silver with a grooved patterned. The cap derby is also Dubonnet Red and the trim is gold filled. 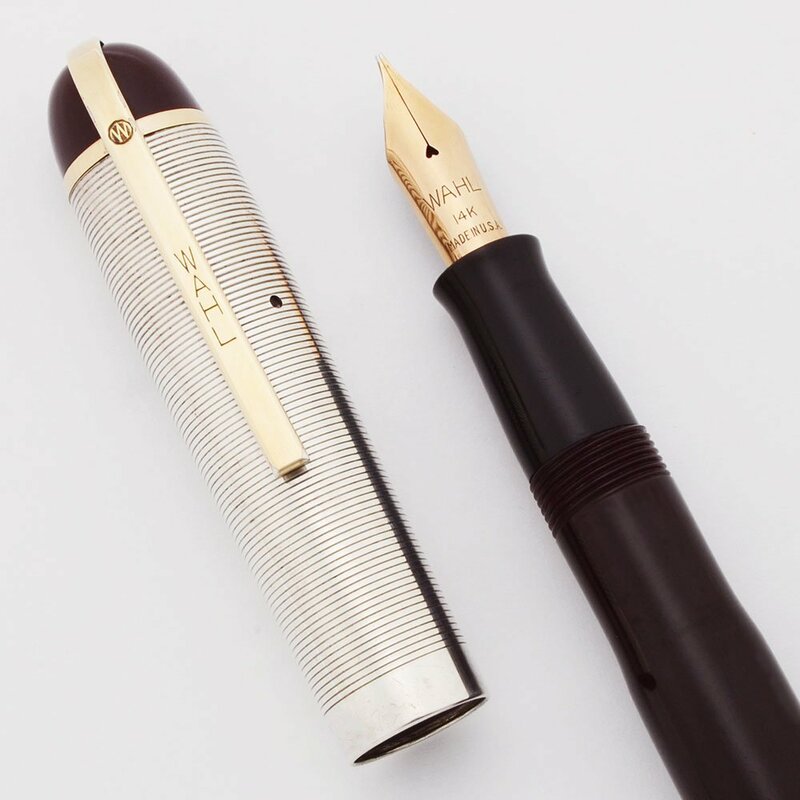 Nib MEDIUM FLEXIBLE Wahl 14k nib. It is springy and writes smoothly, with good line variation. See the writing sample below. Condition Excellent + condition. The sterling has no dents. The imprints are clear. The red has handwear and the lever is a little brassed. 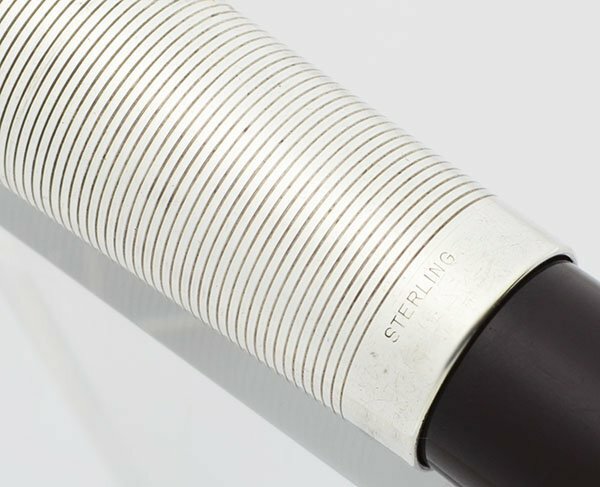 This is a rare pen in excellent condition and worth adding to any collection. It is working well.